A few months ago we wrote about BeyondPod and reports from users that the beta version of the app was broken in more ways than one. 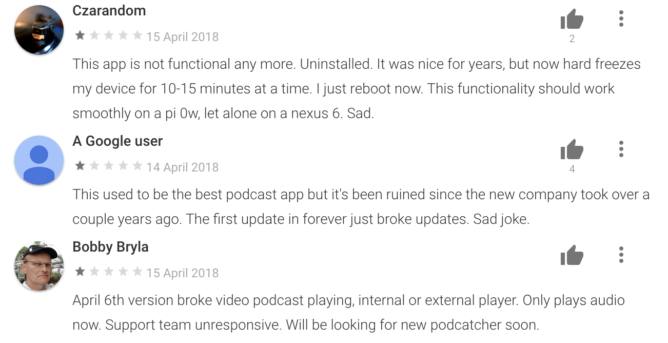 Since the podcast app changed ownership in 2016 there have been no updates to the stable version, and every beta release has provoked a ton of user complaints. A new update launched a couple of days ago with seemingly more issues than ever before. Many of the problems beta testers have been experiencing in the last few versions seem to have been passed over to the latest public release, v4.2.30, which came out on April 13th. Head over to the Play Store listing and you'll see a flurry of one, two, and three-star reviews from the past few days. Posters on the BeyondPod forum have also been expressing their dismay at how far the app's quality has dropped off. According to the changelog, a number of fixes have been implemented, including notification controls, stuck notifications, Chromecast button state, and a host of Oreo-related bugs. However, some users are reporting that these problems are still present and many have discovered new ones. New issues include podcasts not downloading, broken playback speeds, and lots of people are finding that the app completely freezes up their entire phone. In short, the app appears to be pretty much unusable for a good number of people. For an app that was once highly regarded, this is a sad state of affairs. Needless to say, we wouldn't recommend trying BeyondPod right now, especially when there are plenty of other decent alternatives out there. 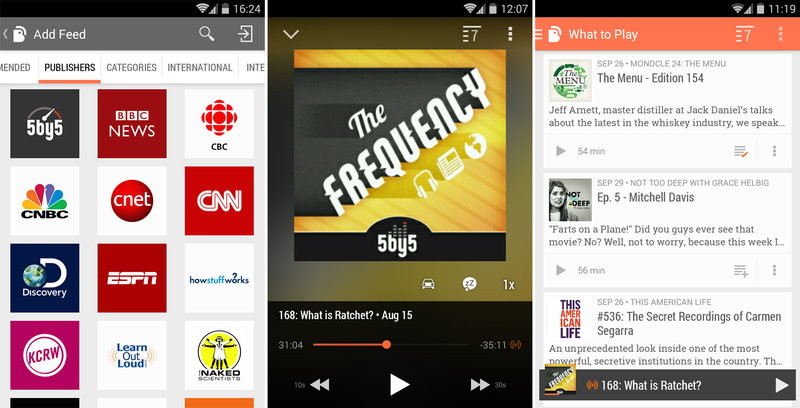 The excellent Pocket Casts is my podcast app of choice, so give that a go if you're looking for something competent.